Now that I am eating dairy-free due to my recently diagnosed Hashimoto’s Thyroiditis, I’m experimenting this week with making various kinds of coconut non-dairy yogurt. 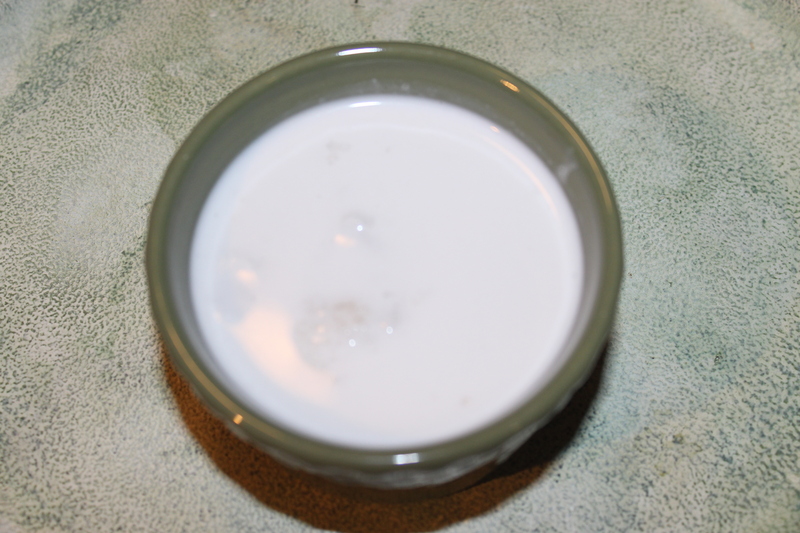 A close up of my newly made non-dairy yogurt. I began my first test by using a 13.5 oz. 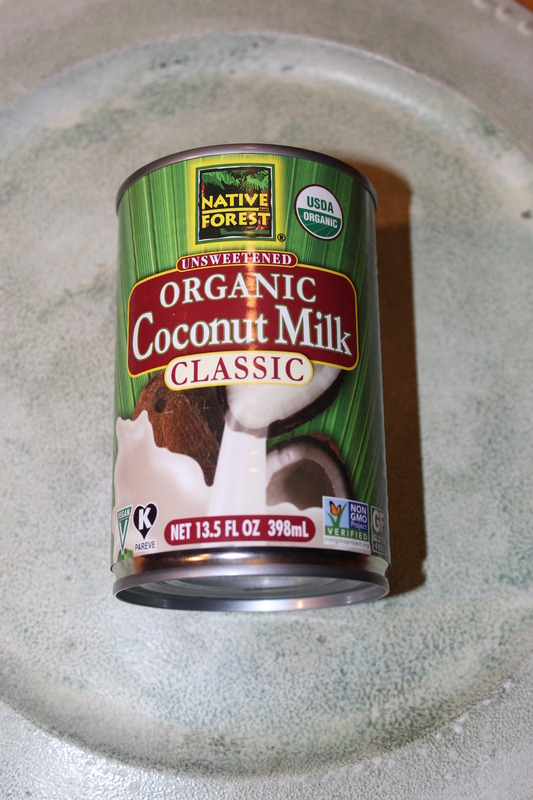 can of classic, unsweetened coconut milk. This is a USDA organic, certified Non-GMO and gluten-free type that is also certified as kosher. This is my purchased can of coconut milk. I used the Native Forest brand that I bought at my grocery store (or health food store.) I was advised in my research to avoid the type with guar gum but for this experiment I used the brand that had the guar gum in it. The total ingredients included; organic coconut, purified water, organic guar gum. I followed the recipe below. NOTE: If you are like most Americans and have been on a low-fat diet for years and have never eaten coconut milk before, I suggest that you start slowly with small amounts to work your way up to larger amounts of full fat in your system. Some report nausea when going directly from a low-fat diet to a cup of full fat yogurt but this can be avoided by increasing the coconut milk slowly to adjust your system. 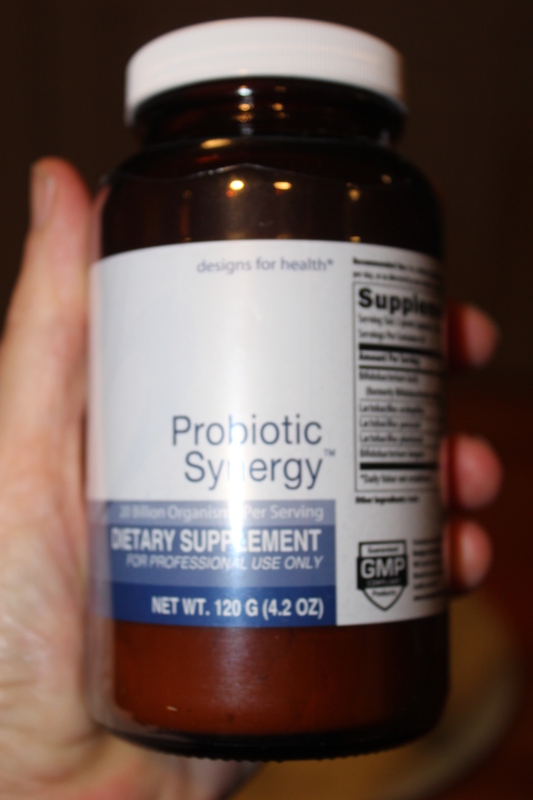 As well as this probiotic power supplement. You can begin by adding 1/4 teaspoon of coconut to your smoothie or hot cereal and work your way up from there. That is what I did. 1 tsp.grassfed gelatin (If you want your yogurt more “kefir” consistency (thinner) then you can use half the amount. You could also make the consistency thicker/pudding/custard like consistency with more gelatin. 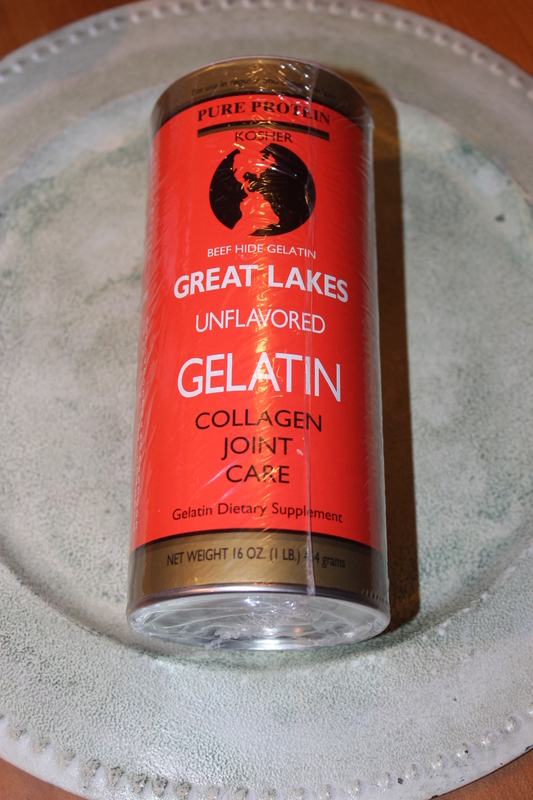 Do not use the cold soluble gelatin as it will not work for this project. 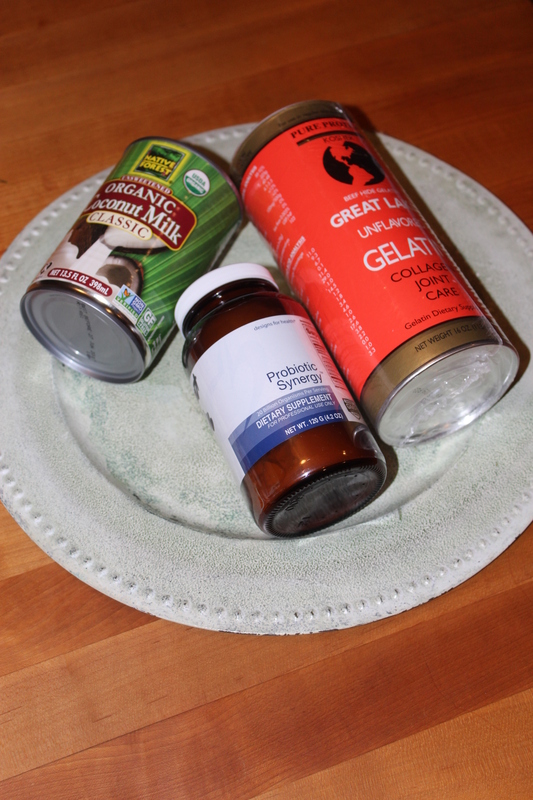 Stir the probiotic power and gelatin into the coconut milk and put a lid on the container. (I used a wide mouth a quart mason jar as that is what I had on hand and clean. The original directions say to use a pint jar which fit this amount perfectly. Place the jar under the light in your oven (WITHOUT the stove light on) overnight or for 8-12 hours. You can taste for “tang” and if you want more you can leave it in the over for up to 24 hours under the light. Shake up the jar and place it in the fridge for 2 hours to finish culturing and thickening the yogurt. This batch ended up being a thin type of yogurt a lot like kefir, but I liked how this tasted. I added a bit of sugar-free jelly to one of the batches for a sugar-free taste of sweetness but I also like it plain as well. This is so easy to make, I will definitely make this again. Next I’ll be trying my hands at non-dairy DYI yogurt made using homemade coconut milk. Stay tuned!